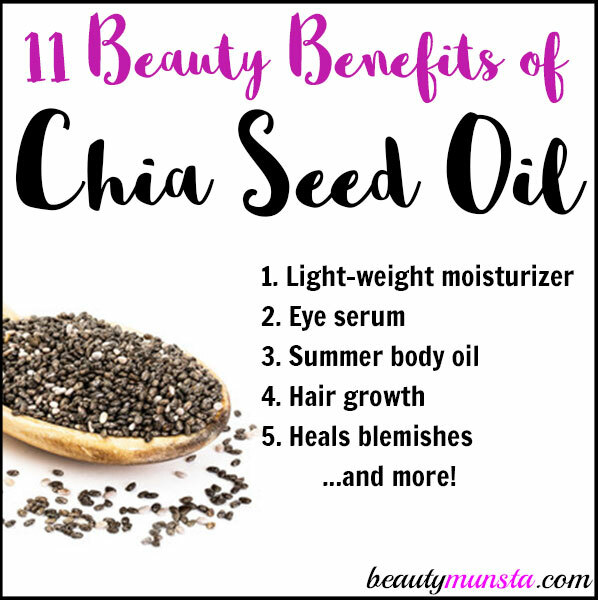 11 Beauty Benefits of Chia Seed Oil for Skin, Hair & More - beautymunsta - free natural beauty hacks and more! 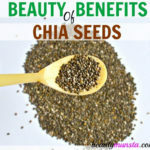 Beautymunsta.com brings you the amazing beauty benefits of chia seed oil, a valuable oil extracted from the superfood chia seeds! Chia seeds are so amazing. Ancient Aztec Indians would thrive on these super seeds. They could eat just a tsp of chia seeds and go running from the Colorado River up to the coast to trade turquoise for sea shells. Just imagine! Only a tsp of chia seeds needed for such an exhausting journey! 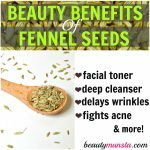 These tiny seeds are also a source of chia seed oil, an exotic but gorgeous oil that has exciting beauty benefits you simply can’t miss out on! About a year ago, I wrote about the beauty benefits of chia seeds and how awesome they are for your skin and hair. Today, I want to focus on chia seed oil in particular! Get ready to purchase a bottle of this special oil because you will be wanting to after you read this post! Let’s first check out the ingredient profile and properties before heading onto the beauty benefits of chia seed oil! Chia seed oil has a thin and light consistency, much like grapeseed oil. Pregnant women should consult a doctor before using chia seed oil. Do a patch test by applying a drop of chia seed oil on your inner arm. If there’s irritation within 1-2 hours, do not use the oil. Since it has a comedogenic rating of 3, do not use chia seed oil on oily and acne prone skin. Comedogenic oils can clog up pores and cause breakouts. However, it’s great for blemishes so if you want to treat your acne scars, use chia seed oil as a spot treatment. 60% of chia seed oil is made of omega 3 fatty acids. Here are some of the other compounds in chia seed oil. Chia seed oil is said to deliver a 3:1 ratio of omega 3 to omega 6 essential fatty acids to the skin. Our bodies can’t produce their own omega 3 fatty acids so eating chia seeds can help them get this nutrient easily. Omega 3 fatty acids also has an incredibly anti-inflammatory action. If you have inflamed skin, gently dab chia seed oil after cleansing your face to help speed up healing. 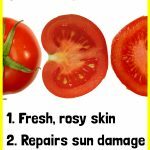 You can use it for eczema, psoriasis and other inflammatory skin conditions. This special oil can help calm rosacea! It’s anti-inflammatory properties soothe inflammation and reduce redness. 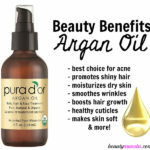 What’s more is that it’s a light oil so you can easily mix up a few drops of chia seed oil into your usual moisturizer. Or, apply the oil on your face right before moisturizing it. Since chia seed oil is a powerful anti-inflammatory agent, it can assist in reducing inflammation. This will clear up blemishes at a faster rate. You can use it for acne scars, dark spots and discolored dots on your face. Use it as a spot treatment using a clean index finger or Q-tip. 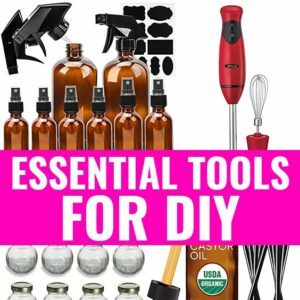 Combine 1 tbsp chia seed oil, 1 tbsp argan oil, 1 tsp prickly pear oil and 1 tsp watermelon seed oil in a 2 oz amber dropper bottle. You can then add 4 drops frankincense oil, 4 drops sandalwood oil, 4 drops geranium oil, 4 drops lemon oil and 2 drops rose oil. Close the bottle and shake well to mix everything up. Use this serum only at night time to repair your skin cells and boost collagen production. Chia seed oil has a thin texture that makes it a ‘dry’ oil. This means it won’t feel greasy on your skin. It will actually tone and tighten your skin, instead! That’s why some people love applying it on their face right before moisturizing. Looking for a light-weight and non-greasy moisturizer? Use chia seed oil! It’s perfect to use during the summer where your skin can get hot, sweaty and bothered. Chia seed oil is rich in protein and zinc – two minerals that are great for hair health. Protein and zinc assist in the production of new hair cells that boost hair growth. Chia seed oil also has a high vitamin content. Apply it right before you style your hair for a beautiful sheen! 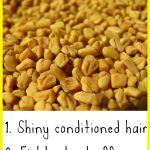 You can also apply it on right-out-of-the-shower-hair to naturally condition it. Make a perfect eye serum using chia seed oil! It has a skin tightening property which prevents under eye bags/sagging. Its nutrient content nourishes the delicate under eye area perfectly. Personally, I find dabbing a drop of chia seed oil with the ring finger under the eyes a perfect eye serum. But you can of course add anti-aging essential oils like rose, sandalwood and frankincense for a more nourishing eye serum. Simple fill up a 1 oz amber dropper bottle with chia seed oil. Now add 2 drops of rose oil, 2 drops of sandalwood oil and 2 drops of frankincense oil. Close the bottle and shake well. Dab under each eye with your ring finger (it’s the one which puts the gentlest pressure) for soft, smooth and toned under-eye skin! Combine ¼ cup of grapeseed oil with ¼ cup of chia seed oil. Now add 10-15 drops of your favorite essential oils for scented skin. I like geranium, sandalwood and jasmine. Store your body oil in an amber dropper bottle. Place a few drops on your palm, rub both palms together then apply all over your body after a shower. Because of its light-weight texture, people love using chia seed oil as a facial oil. Simply massage 3 drops all over your face as a moisturizer. Or add a few drops to your moisturizer. You can also first apply chia seed oil then moisturize your face, if you’ve got the dry skin type. Use chia seed oil as a cuticle and nail oil for hydrated and healthy-looking cuticles and strong nails! Just massage a drop of it on your cuticles and nails. Chia seed oil is a bit rare to find. However, you can most definitely buy it on Amazon. 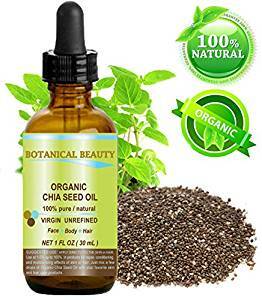 I like and recommend Botanical Beauty’s 100% Pure Natural Undiluted Organic Chia Seed Oil. It comes in a 1 fluid ounce amber dropper bottle. Go ahead and try it out!